Old, outdated bathroom got you down? Dreaming of something more spa-inspired, perhaps a steam shower or a soaking tub? At Home Remodeling Center, we provide Escondido residents with the bathroom renovations they want and their bathrooms need. In addition to bathroom remodels, we also work on kitchens, flooring and any other room in your home that needs a makeover. Customers choose us because of our complimentary design service, our inspiration-packed showroom and our pledge to get your project done on time and within budget, without the use of subcontractors. Of the many Escondido general contractors, few can offer the experience and expertise Home Remodeling Center provides our clients. Kitchens. 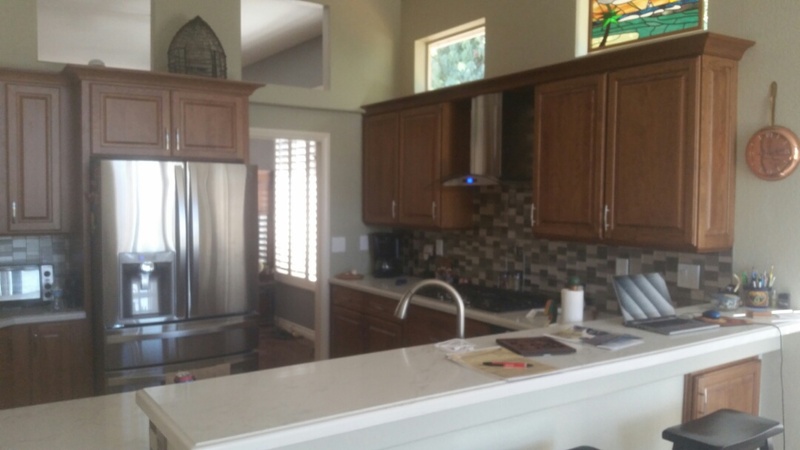 Whether you need new countertops, cabinetry, flooring or hardware — we can do everything and the kitchen sink, too! Bathrooms. A remodeling bathroom will increase your happiness and your home value. Talk to us today about how we can remake your bathroom into a dreamy, durable oasis. Flooring. Old flooring can ruin an otherwise beautiful room. We carry and install the industry’s best hardwood, tile, laminate and carpet. Work with the general contractor Escondido trusts. Call Home Remodeling Center today at (760) 591-3932, contact us online or visit our expansive showroom on famed Furniture Row. Excellent workmanship. Easy to work with! HRC owner Lonnie has put together an exceptional team, both in the showroom and on the job site. From design, to installation, to completion, they coordinate the entire process with the customer to ensure that the finished product is exactly what you want. A pleasure to work with HRC on what can often be the most stressful remodeling project in your home. Custom Kitchen Remodel completed in three weeks. 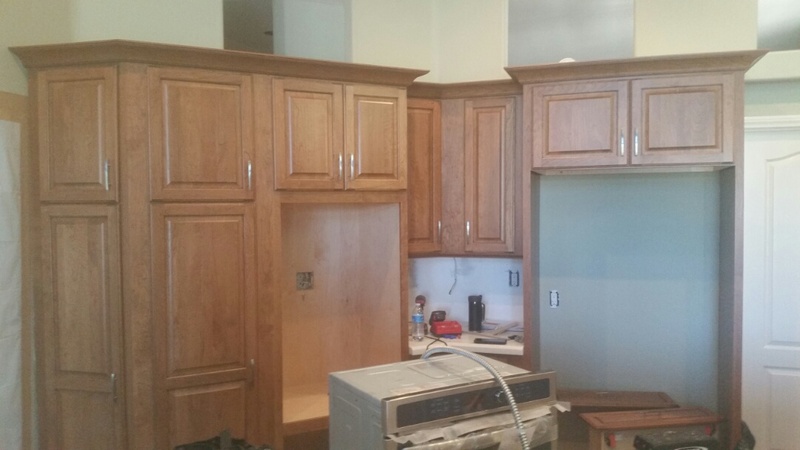 Home Remodeling Center in process of another custom Kitchen Remodel.